CHEAD will be consulting with our member HEIs to input to our response on behalf of the ADM HE sector to the implementation stages of the Higher Education and Research Bill 2016-17 which had its first reading on 19 May 2016 – the second reading is yet to be scheduled but unlikely to be before the Summer. The Government is already seeking views on the implementation phase in three consultations to which CHEAD will be responding. If you would like to participate, you can either add to the Googledoc collaborations linked below or contact us to discuss your concerns. The Higher Education Bill provides for changes in governance needed to enable opening of competition for a Higher Education market and its associated implementation reviews open out onto a significant restructuring. The TEF Year II implementation consultation is concerned with transitional arrangements whilst the HESA DLHE Review is developing a longer-term ‘data product’ to underpin TEF. The Accelerated Degrees and Course Switching consultation is looking at removing barriers to accelerated degrees and course switching – in the USA this has often meant students will study two years at a low-cost ‘community’ college then finish up their final year in a more prestigious, and expensive, institution. The Government argues that increased fees have led to increased revenue for the sector which now needs to make more significant contribution to the sustainability of funding model, better student experience and wider policy goals. Or, as one commentator put it, to make the HE sector responsible for UK productivity. Given that the Government becomes liable for unpaid student debt it looks as though sustaining the funding model means recuperating fees more efficiently via a two-pronged approach which (a) pushes down fees in the post 1992 and ADM sectors where graduate earnings are likely to be less, thus reducing loans most likely to be defaulted, and in getting HEI ‘skin in the game’ of ensuring highly-paid graduate destinations (it’s unlikely that a more direct approach such as making HEIs responsible for unpaid debt would get through the Lords). Research fairly unanimously demonstrates that elite universities lead to elite jobs so this will minimally affect the UK’s most prestigious institutions and uncapped fee levels are unlikely to discourage recruitment there. Demand is holding so far despite expansion but this may change once caps on numbers are removed and new players enter the market. Challenging times ahead for the ADM sector. The Bill is somewhat contradictory, however, in arguing for a ‘free market’ within HE but, at the same time, setting in place a highly bureaucratic framework. The OfS was roundly criticised in the Green Paper stage for its lack of accountability and the Bill assures us that the OfS will be at arms length. However, it has rather sweeping powers to suspend and disband universities without apparent public accountability whilst the much-vaunted streamlining of the number of bodies seems to involve little more than combining bodies and councils whilst adding a few more. It’s also rather unclear how the new UKRI (pronounced ‘you cry’) will interface with TEF as funding accountability will remain with HEFCE (incorporated into UKRI) whilst OfS has TEF and responsibility for both undergrads and postgrads. Worryingly, it would seem that OfS could interfere in course content as well as awarding DAPs and, although validation will remain with HEIs, can also appoint validators for alternative (commercial) providers if none come forward. Despite some climbing-down between the Green Paper and the Bill, it’s hard to avoid concluding that academic freedom in developing course content could be compromised. In terms of research, Haldane and dual funding are protected (there’s talk of legislation specifically to enshine Haldane in law). The rumours about all staff being submitted to REF on the basis of sampling are unlikely to be materialised for 2021 (the date of the next REF) as it would require a national-level, cloud-based database to be implemented. However, this may be on the cards eventually. As yet, it’s unclear how decoupled returns will be organised but number of case studies will probably remain the same, impact and environment are likely to be combined with possibly a higher weighting and definitions expanded – possibly to include teaching impact. The Government is keen to get to the bottom of what ‘graduateness’ might be. There is an average economic premium of around £200,000 over the lifetime of a graduate but why? What is it that makes a graduate more valuable than a non-graduate? What value is added by the processes of teaching and learning and what is the role of research in these processes? However, there is some dissonance between the ‘Cameron legacy’ idea of justifying an ROI on varied fees for individual students whilst widening participation in an economic elite and the constructs of the value of education which have traditionally informed the sector: the transformative journey of students and the civic value of an educated population. Given the dissonant paradigms the two groups espouse, it may be difficult to articulate the sector’s concerns in an appropriate language but vital that it be attempted. At this stage, the models for implementing and evaluating TEF are key to ensuring that the value of ADM teaching is both measurable and adequately articulated. Fundamental review of destinations and outcomes data for leavers from HE closing Thursday 14 July 2016: CHEAD’s annotated draft response is available here and we are inviting active participation from our membership. The draft response can be edited by anyone with the link or contact us to discuss your issues. Teaching Excellence Framework Technical Consultation closing 12 July 2016: CHEAD is working with teaching and learning experts from our network to develop our response. The questions are available in editable form here and we welcome contributions which will be included in our final response. Again, please do contact us with specific concerns or recommendations. Accelerated Courses and Switching University or Degree: Call for Evidence closing 19 July 2016: This requests very specific information about current practice at institutional level and it will not be appropriate for CHEAD to reply at a sector level. We will, of course, engage with policy proposals emerging from this initial consultation at sector level. CHEAD is working with BIS to input ‘blue sky’ thinking from experts in our network in the early stages of the design of TEF at disciplinary level following Phase II. 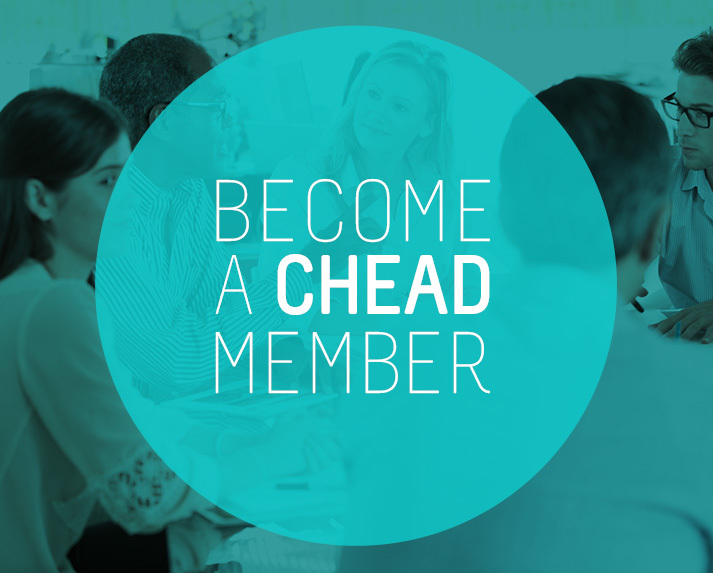 We will be working closely with the CHEAD Subject Associations Links Network. The initial workshop will take place on 11 July 2016 and applications to participate are welcomed from our memebership – first come, first served with priority for members of the CHEAD Links Network. CHEAD is currently gathering information and views and we will publish a briefing shortly. We will, of course, do everything possible to inform, lobby on behalf of, and support our membership through these challenging times. Again, please do contact us to share your concerns. We are here to represent the interests of our membership.